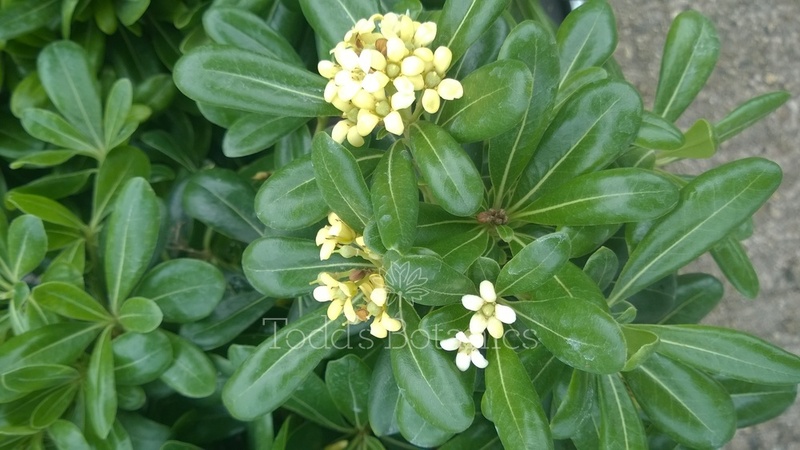 Pittosporum 'Nanum' is a beautiful small shrub originally from Japan but found growing everywhere in the Meditarranean. 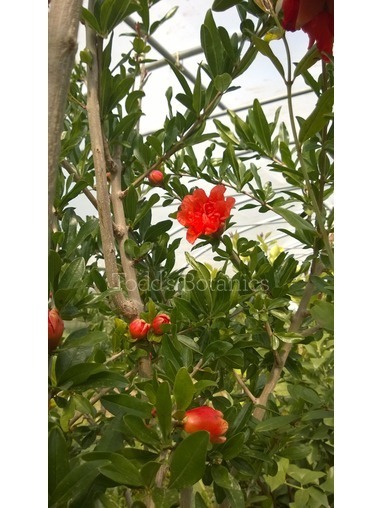 It is a low growing, mound forming shrub which has dark evergreen glossy leaves which are rosette like. 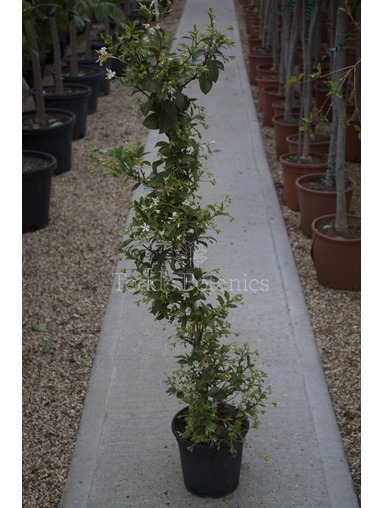 'Nanum' is slow growing and doesnt require any pruning so its a very useful shrub to landscapers and designers as it's very 'low maintenance'. In late Spring-early Summer it produces delightfully small, highly scented flowers, hence it's common name of Japanese Mock Orange. 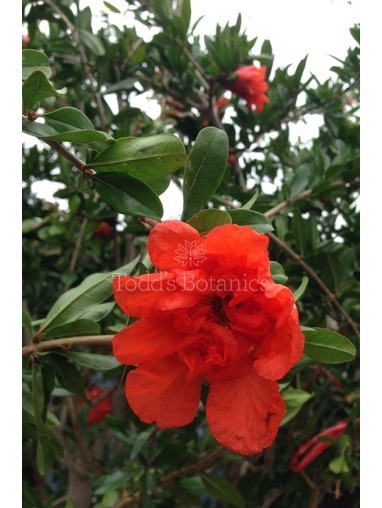 it really is a beautiful little shrub which grows very slowy but will ultimately reach 1M in width x 60cm in height. Nanum looks great in a contianer or raised bed or even at the front of the border! 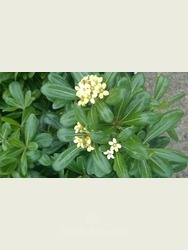 Plant in a sunny or partly shaded spot in a sheltered garden. We can recommend http://www.vasotoscano.com/ for fabulous frostproof terracotta pots. These are best planted in the ground in full sun or partial shade, they can tolerate a sheltered north facing site. They are happy in neutral, slightly acidic or alkaline pH soil that is moist but free draining. Once planted water well to ensure the plant has as good start. If planting in a pot use a John Innis No3 based compost with some added grit. Water well to get established and feed with a general purpose plant food.